The composer's father, Matthias Haydn, was, like most of his brothers, a wheelwright, combining with his trade the office of parish sexton. He belonged to the better peasant class, and, though ignorant as we should now regard him, was yet not without a tincture of artistic taste. He had been to Frankfort during his "travelling years," and had there picked up some little information of a miscellaneous kind. "He was a great lover of music by nature," says his famous son, "and played the harp without knowing a note of music." He had a fine tenor voice, and when the day's toil was over he would gather his household around him and set them singing to his well-meant accompaniment. It is rather a pretty picture that the imagination here conjures up, but it does not help us very much in trying to account for the musical genius of the composer. 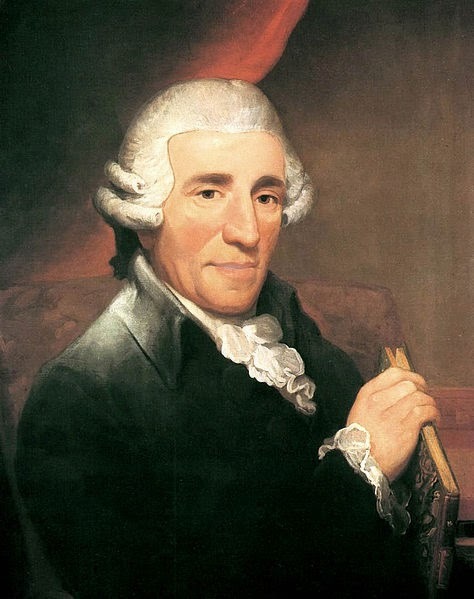 Even the popular idea that genius is derived from the mother does not hold in Haydn's case. If Frau Haydn had a genius for anything it was merely for moral excellence and religion and the good management of her household. Like Leigh Hunt's mother, however, she was "fond of music, and a gentle singer in her way"; and more than one intimate of Haydn in his old age declared that he still knew by heart all the simple airs which she had been wont to lilt about the house. The maiden name of this estimable woman was Marie Koller. She was a daughter of the Marktrichter (market judge), and had been a cook in the family of Count Harrach, one of the local magnates. Eight years younger than her husband, she was just twenty-one at her marriage, and bore him twelve children. Haydn's regard for her was deep and sincere; and it was one of the tricks of destiny that she was not spared to witness more of his rising fame, being cut off in 1754, when she was only forty-six. Matthias Haydn promptly married again, and had a second family of five children, all of whom died in infancy. The stepmother survived her husband—who died, as the result of an accident, in 1763—and then she too entered a second time into the wedded state. Haydn can never have been very intimate with her, and he appears to have lost sight of her entirely in her later years. But he bequeathed a small sum to her in his will, "to be transferred to her children should she be no longer alive."